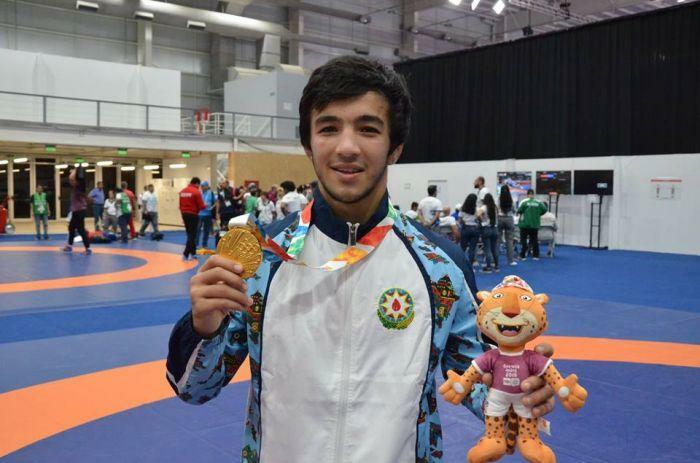 Azerbaijani wrestler Turan Bayramov won a gold medal at the Junior Youth Olympic Games in Buenos Aires, Argentina. Freestyle wrestler competed in Group A in the weight category of 65 kilograms. In the first meeting World and European champion defeated New Zealand representative Ainsley Westerly without difficulty. Bayramov also won the Pakistani wrestler Inayat Ullah and took the first place in Group A. The wrestler, who qualified for the final of the Olympics, met with Iranian wrestler Mohammad Baghi Karimiseifabad, who bacame the winner of Group B. Bayramov, who defeated his opponent, became an Olympic champion. At present, Azerbaijan has two gold, one silver and two bronze medals.